The AC sports car. The history of AC sports cars began with the Auto-Carriers Company, hence AC, that was formed in 1903. However, after WW2, the company really came into its own with the production of the AC 2-Litre. 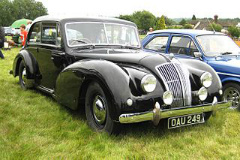 Launched in 1949, this was a two and four door saloon which was also offered in the form of a drop head coupe. It used AC's own 2 litre, 6-cylinder engine, with an aluminium block, and three SU carburettors, developed 74 bhp, which increased to 85 bhp by 1951. It incorporated aluminium body panels, on a wood frame, and fitted to a steel chassis. 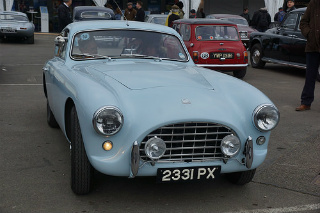 In 1953, the fortunes of AC Cars, as it was now known, would change with the introduction of its first true sports car, the two seater AC Ace, popular on both the race track and in rallies. It used an alloy body on a tubular frame and, interestingly, incorporated all-round, independent leaf spring suspension. Initially, the Ace used an outdated (post WW1) 2 litre, straight six, overhead cam engine. Then, in 1956, there was the option to use the Bristol Cars 2 litre, in line six cylinder engine, with three carburettors and a four speed gearbox. Finally, in 1961, a 2.6 litre "Ruddspeed" modified engine, as used (unmodified) in the Ford Zephyr saloon, became available. This used three Weber or SU carburtettors, and transformed the performance. 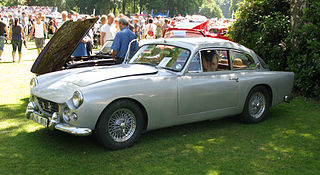 This version of the AC Ace, with its good handling characteristics, was used in competitions. Only 37 units were built, however, since use of the Cobra engine was seen as a better alternative. The Ace was entered in the Le Mans race of 1957 and 1958. Production ended in 1962 when 689 units of all models were built. 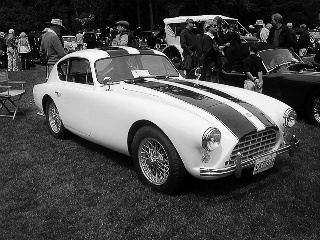 In 1954, the AC Aceca sports car was introduced. Based on the two seater AC Ace convertible, it was a fixed head coupe with a hatchback at the rear. When production ended in 1963, 151 Aceca, 169 Aceca-Bristol, and 8 Ford-engined (2553 cc) models had been built. When production ended in 1963, a total of 83 Greyhounds were built, almost all were with the 2 litre or 2.2 litre engine, and only 3 with the Ruddspeed unit. 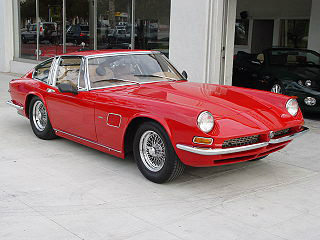 Launched in 1965, the AC 428 Frua sports car was designed by Pietro Frua of Turin, which is where it derived its name. It was available as both a convertible and fixed head coupe variant. 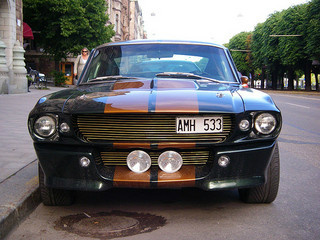 It was powered by a 428 ci (7 litre) Ford FE V8 engine, fitted with a Holley 4-barrel carburettor. The engine developed 345 bhp at 4600 rpm, and 474 ft/lbs of torque at 2800 rpm, and had a top speed of 141 mph, with a 0-60 mph time of 6.2 secs. Production ended in 1973 with only 81 units having been built. One of the main problems with the Frua was that at £5,573, it was overpriced in comparison with its non exclusive competition, such as the E-Type. 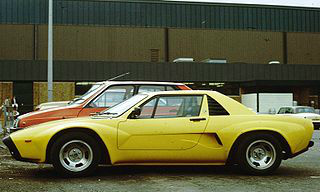 In 1978, the two seater AC 3000ME sports car was launched at the NEC Motor Show in Birmingham. It had a glass fibre body on a steel chassis. The transversely positioned, mid engined 3000ME, used a 3 litre, Ford V6 engine, sourced from the Ford Capri saloon. Only 71 cars were sold and this was partly due to the fact that, from its conception in 1972, it took AC six years to get the car into production. In 1961, Bristol Cars, who provided engines for the AC Ace, discontinued their 2 litre engine which, potentially, left the Ace without a power source. Hearing about this, Carroll Shelby, a US car designer and race driver, set about fitting a giant Ford V8 engine into the Ace. 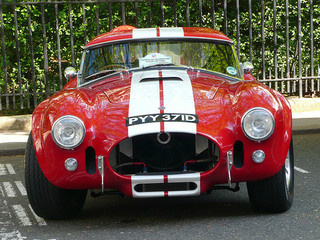 The result of his endeavours was the successful creation of a racing icon, the Prototype AC Cobra sports car. The Mark 1 Cobra 260 sports car was launched in 1962. The first batch of 75 units of were fitted with the 260 ci (4.3 litre) Ford Windsor HiPo (High Performance) V8 engine. Following this, a further 51 units of the Mark 1 were fitted with the larger 289 ci (4.7 litre) Windsor HiPo engine. The standard Mark 1 developed 260 bhp, 269 ft/lbs of torque, had a top speed of 135 mph, a 0-60 mph time of 5.5 secs, a 0-100 mph time of 13.7 secs, and a standing 1/4 mile time of 14.1 secs. Carroll Shelby also produced a Competition variant with a top speed of 152 mph. 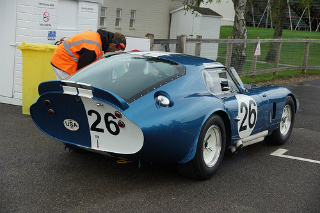 In early 1963, the AC Cobra 289 Mark 2 sports car was introduced. It was powered by a 289 ci (4.7 litre) Ford Windsor HiPo (High Performance) overhead valve engine, which developed 271 bhp at 5750 rpm, and 312 ft/lbs of torque at 4500 rpm. This produced a top speed of 138 mph, with a 0-60 mph time of 5.5 secs, a 0-100 mph time of 13.7 secs, and a standing quarter mile time of 14.4 secs. By the time it was discontinued in 1965, 528 of the Mark 2's had been built. By the mid 1960's, it was obvious that the 289 Cobra needed an injection of more power. On 1st January 1965, this was provided with the introduction of the CSX3000 Series, which featured a redesigned chassis and the brutish 427 ci (7.0 litre) Ford Windsor V8 engine, which took the Cobra to the next level. Such performance was taken still further with the Semi Competition, Competition and Supersnake variants. In 1968, Carroll Shelby sold the final AC Cobra 427 Mark 3 sports car. Although production of the 427 Cobra ended in 1967, in the late 1980's, it was reborn with the first unit being designated CSX4000. The 4000 Series was officially sanctioned by Carroll Shelby to be an authentic re-introduction of the original Cobra sports car. Consequently, this new series was designated the "Continuation Cobra". 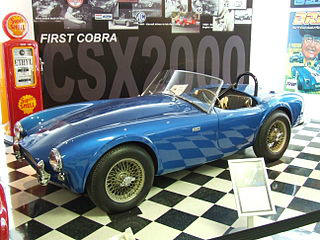 It came as no surprise that the 427 S/C Shelby Continuation Cobra (Semi Competition) was the most desirable variant. Currently, Continuation 289 and 427 Cobras are being built in the UK by AC Heritage. Launched in 2009, it had a striking resemblance to the Cobra. Powered by a 6.2 litre, GM V8 engine, the AC Mark 6 sports car developed between 436 bhp and 780 bhp, depending on the state of tune. Accordingly, its top speed ranged from 173 mph to 207 mph. One of its unique features was that the fixed head coupe was fitted with gullwing doors. It was priced at £93,500. 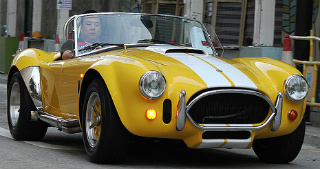 Launched in 2000, the AC Cobra 212 S/C sports car represented the further evolution of the iconic AC Cobra 427 S/C. Powered by a Lotus 3.5 litre (212 ci), double overhead cam, V8 engine, with two Garratt turbochargers, It developed 350 bhp, and 295 ft/lbs of torque. This produced a top speed of 155 mph, a 0-60 mph time of 4.0 secs, and a 0-100 mph time of 9.0 secs. Disappointingly, only two units were built. 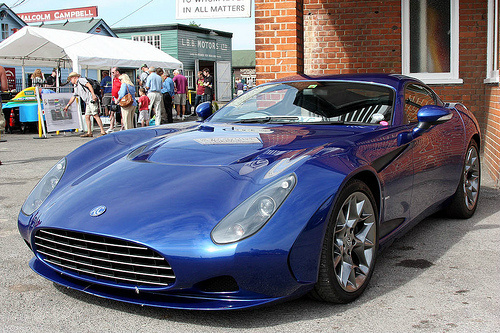 Launched in 2012, the AC 378 GT Zagato sports car was powered by a 6.2 litre, V8 Chevrolet Corvette C6 engine, with a six speed gearbox, and developed 434 bhp, and 430 ft/lbs of torque. This gave it a top speed of 185 mph, a 0-60 mph time of 3.8 secs, and a 0-100 mph time of 8.9 secs. It was available as a convertible and fixed head coupe and had a price tag of £90,000. 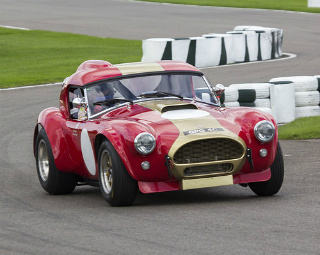 In terms of external appearance, it was based on the original 1960's racing AC Cobra coupes. Got any stories about Your Favourite AC Sports Car?